Looking ahead at Awards Season, "Tinker, Tailor, Soldier, Spy" appears to be the biggest can't-miss film that lays ahead, so naturally there's already talk of a sequel. "Tinker," the spy thriller based on John LeCarre's novel and starring Gary Oldman, opened as the #1 film in England two weekends ago, taking in $4.4 million, an impressive total in a country where 382 theaters constitutes a wide release. The film was directed by Tomas Alfredson ("Let the Right One In") and co-starred Tom Hardy, Colin Firth, John Hurt, Benedict Cumberbatch and Toby Jones. 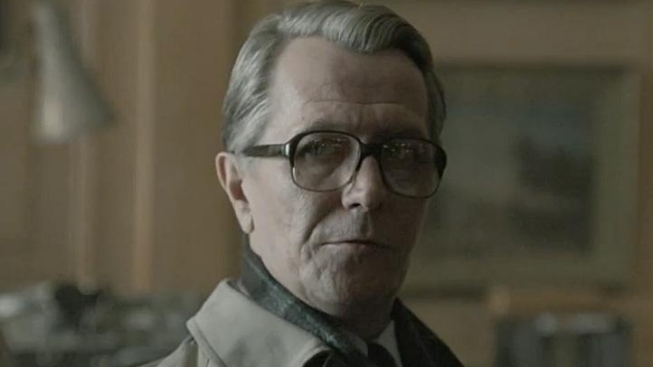 Oldman, for his part, says he'd happily discuss playing George Smiley again. "I loved playing George, and there are of course films to be made of Le Carré’s other books featuring George, with Smiley’s People and The Honourable Schoolboy being the obvious ones," Oldman told The Guardian (by way of The Playlist). But I would insist on quite a few factors, such as I would really want Tomas Alfredson to direct it again." Oldman's played Commissioner Gordon three times for "Dark Knight" divorce Chris Nolan, he could likely squeeze out three turns as Smiley.